I’m really scared of flying. Like really scared. I can’t rationalize it, because I’ve flown so many times in my life, but it never gets any easier. It’s not just the thought of the plan going down that makes me nervous, it’s also the fact that I might die in a cold metal container with people that I don’t know and many that I probably wouldn’t like. Maybe that makes me a snob, but I just can’t wrap my head around that. 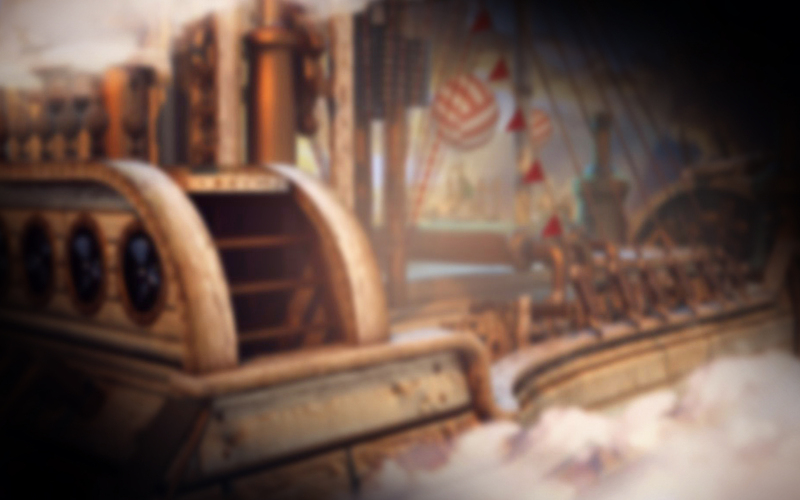 Aeronauts is a 5-reel, 20-payline video slot powered by software from Evoplay. This slot isn’t your typical air-travel related slot (so, no mile high club okay? ), it’s a lot more whimsical than that. Symbols include a rubber dinghy with wings attached, a gold rocket, a compass, the game’s mascot (a grinning red haired man who’ll celebrate with you every time you get a win) on a bicycle, a win mobile, and another machine but I have no idea what it is (to be quite honest). There are a bunch of special symbols including a propeller as the wild, Da Vinci’s flying machine as the bonus, a hot air balloon as the extra symbol, and a blimp as the Scatter. Controls really could not be more simple. Situated below the reels you’ll find Info, Bet +/-, Coin Value +/-, Max Bet, Auto Spin, and Spin. So, what features can you expect from Aeronauts? Wild: Wild substitutes for all symbols except scatter, extra, and bonus. Free Spins: Landing 3 or more scatters triggers 20 free spins. Extra: 5 winning combos with the extra symbol triggers one of 3 prizes (x2 multiplier, x3 multiplier, and 20 extra spins). Bonus: Triggered when you land 3 or more bonus symbols, you’ll need to choose one symbol to play with. When it lands you’ll level up. The higher the level, the bigger the wins. Aeronaut boasts 3D cartoon graphics, a really fun soundtrack, and it’s available to play on mobile, tablet, and desktop. The max coin win is 2000. Evoplay is swiftly becoming one of those game providers that consistently cracks out solid releases. Aeronaut really is a hell of a lot of fun. Boasting fantastic features, nice wins, and more, this slot has something for even the most terrified of air-travellers.